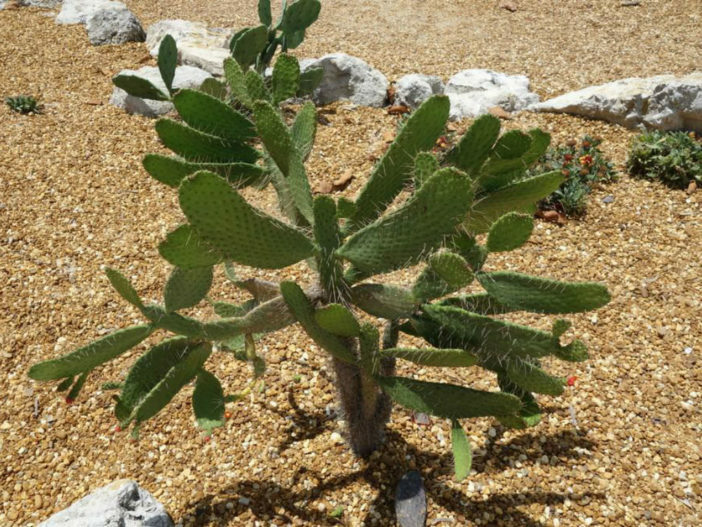 Consolea corallicola is an extremely rare, shrub-like cactus up to 8 feet (2.4 m) tall. 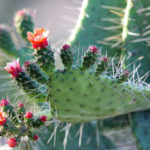 The stem segments are up to 16 inches (40 cm) long and are “copiously armed” with pink spines which can exceed up to 5 inches (12.5 cm) in length. 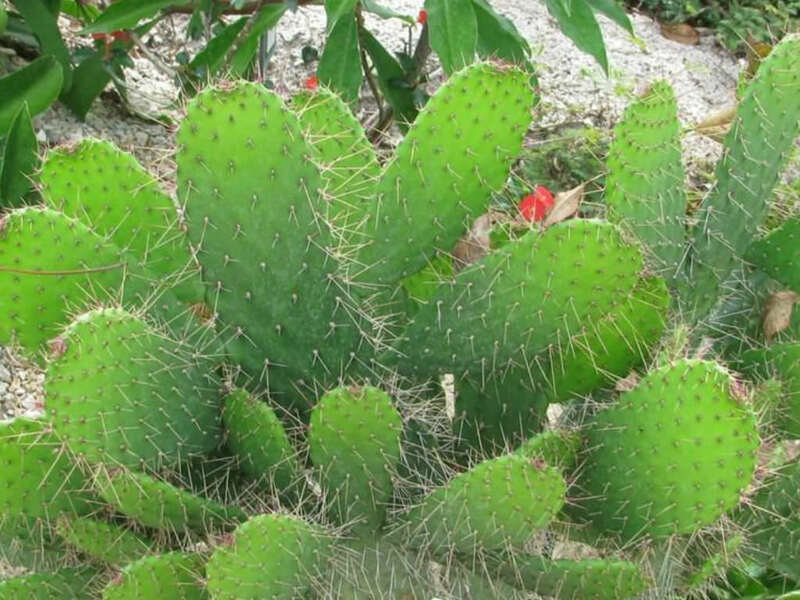 The spines on the trunk all point downward and are the largest spines on the plant. The flowers have fleshy outer tepals and red-colored inner tepals that reach one inch (2.5 cm) in length. 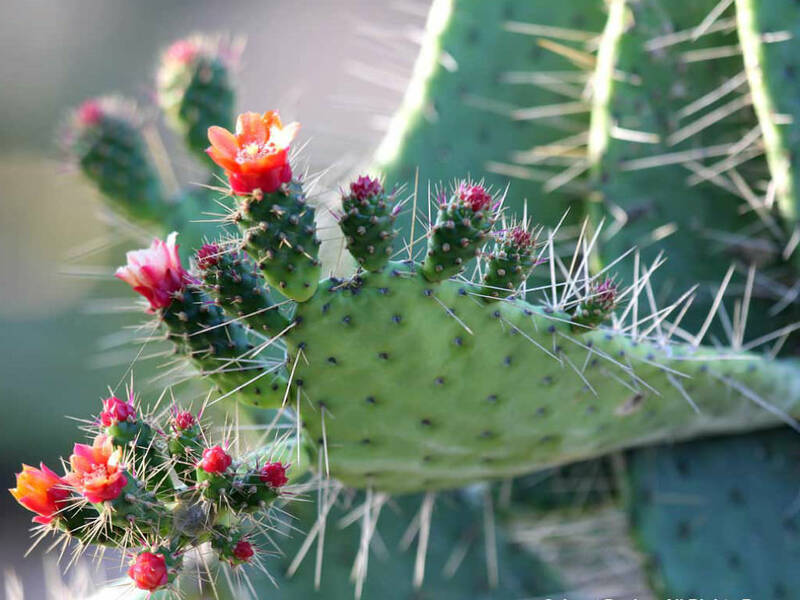 Flowering occurs year-round, with a peak season in December through April. There is no fruit as the plants in existence are solely male and pollination is impossible. This species’ common name refers to its resemblance to railway semaphore signals. 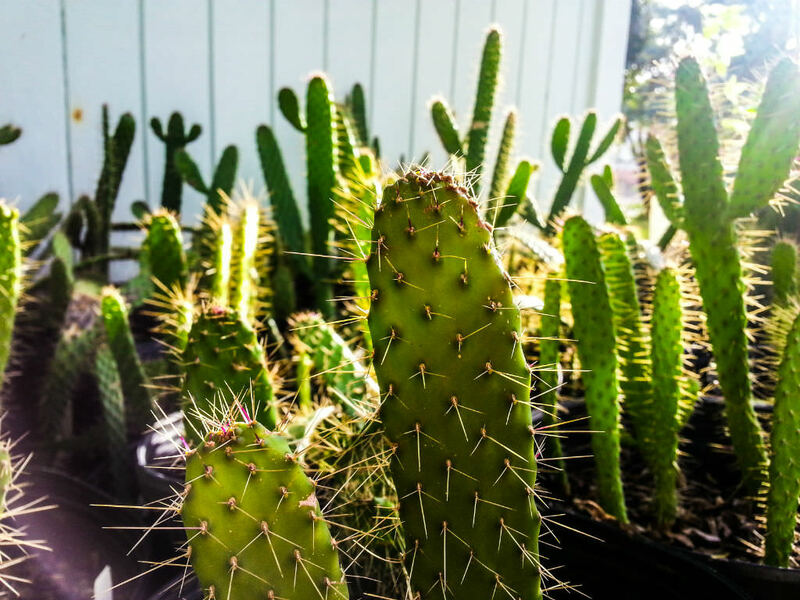 Though the large variety of species within the Opuntia genus means different types of prickly pears may need slightly different care, all are desert cacti that need lots of sun, lots of light, and very little water. 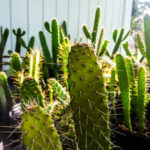 If you live in a hot, arid area, particularly the American Southwest, these plants can generally be planted outside, left alone, and enjoyed. 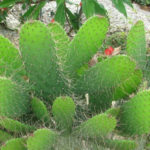 Consolea corallicola is endemic to Florida in the United States, where it is limited to the Florida Keys.